The 1992 Rio Earth Summit was supposed to be a turning point for the World Bank. Environmental concerns would now play a major role in its lending—programs and projects would go beyond economic development to “sustainable development.” More than two decades later, efforts to green the bank seem pallid. Bruce Rich argues that the Bank’s current institutional problems are extensions of flaws that had been present since its founding. His new book, Foreclosing the Future, tells the story of the Bank from the Rio Earth Summit to today. For readers who want the full history of the Bank’s environmental record, Rich’s acclaimed 1994 critique, Mortgaging the Earth, is an essential companion. Called a “detailed and thought-provoking look at an important subject” by The New York Times, Mortgaging the Earth analyzes the twenty year period leading up the Rio Summit. Rich offers not only an important history but critical insights about economic development that are ever-more relevant today. "This is a detailed and thought-provoking look at an important subject from the viewpoint of a passionate advocate." "This exposé deserves a wide readership." 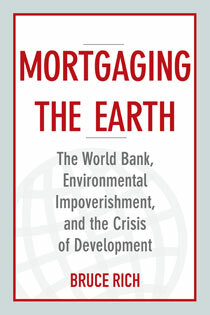 "Rips apart the bank's lending policies and has sent the noble institution into a spin"
"One of the most insightful and detailed accounts of the World Bank's planning processes and their negative environmental impacts across the Third World." "A detailed catalogue of such misdemeanours"
"More than just a high-minded exposé…[a] fine book." -Who Shall Rule the World—and How? -What on Earth Is to Be Done? Bruce Rich, author of Mortgaging the Earth and Foreclosing the Future, shares his thoughts on the recent acquisition of Ecuadorian Amazon by the Chinese oil firm Andes Petroleum Ecuador, as well as the concept of development investment. After some seven decades of mixed results in development assistance, there is a growing consensus that the greatest challenge is governance—in both the recipient and the donor countries. It is not just the matter of poor institutional capacity and weak institutions in poorer countries thwarting the putative good intentions of aid agencies, but also mixed, hypocritical political priorities in both donor governments and recipients, willful negligence linked to perverse incentives in development agencies, as well as outright, pervasive corruption. Unfortunately, as knowledge has accumulated about what has gone wrong, it has had little impact on changing the ‘real-politik’ of development investment. In fact, ‘aid-fatique’ in the richer, older industrialized nations and the rise of newly industrializing states with their own foreign assistance and development finance programs is leading to an even more predatory, corrupt geopolitics of development investment. 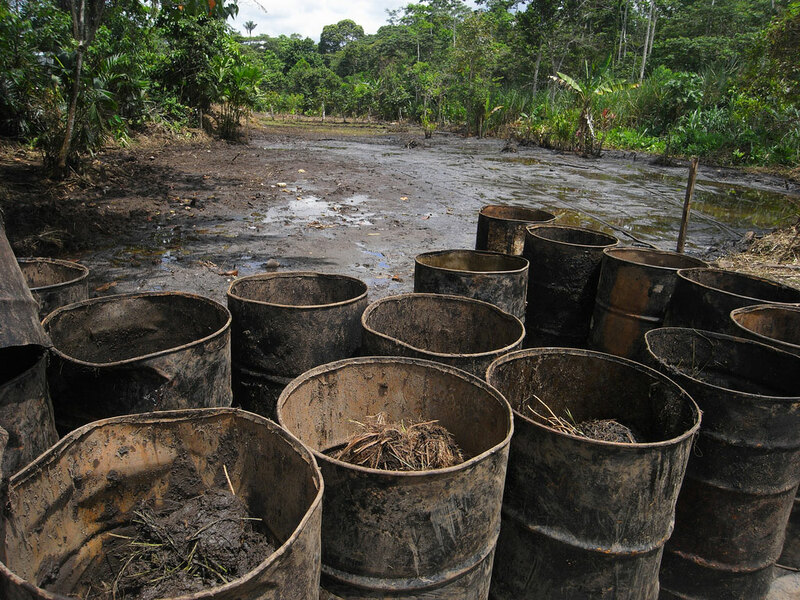 In the case of Ecuador, for example, rancorous environmental and social disputes plagued U.S. and Canadian-owned oil and mining investments in the Ecuadorian Amazon for many years. These companies have largely pulled out and Chinese investors have taken their place—with even less experience in dealing with environmental issues and deforestation, and less attention to the interests of local communities than their predecessors. Of course the obvious conclusion is that developing country governments need to take responsibility for egregious resource and land deals on their territory and negotiate more equitable and environmentally sustainable terms. The problem is that these deals go through BECAUSE the host governments are corrupt, hypocritical, or relatively powerless since in some cases they are on the verge of being failed states. The international aid and lending agencies too often are accomplices of these problems, and the international environmental community too often has been naïve or negligent with respect to these governance issues, with the exception of advocacy groups involved in supporting the fights of local communities against such abuses. There are no easy solutions, but if any progress is to be made one has to confront this reality head on. The most recent example of how broken governance is undermining progress towards sustainability can be seen in the proliferation of fraudulent climate finance deals, where international institutions and their participating governments have learned little from past failures. A salient example is the United Nations Green Climate Fund, the principal international mechanism to channel finance from richer nations to developing countries for climate change mitigation and adaptation. Parties to the United Nations Framework Convention on Climate Change (UNFCCC) agreed to create the Global Climate Fund (GCF) in 2010, and the GCF operates under, and is accountable to the UNFCCC. It has an Executive Board of twenty-four members representing in equal proportion developing and industrialized nations, and is supposed to mobilize by 2020 $100 billion annually. It approved its first projects just last December. But the GCF is beset by deep flaws that in recent years have characterized both so-called climate finance and the overall effectiveness of development assistance. Rather than addressing these flaws it is on a path to exemplify them. The GCF outsources the disbursement and management of its funds through financial institutions and international and national agencies that it approves. Though it has developed criteria for accrediting these agencies and the projects it will support through them, in practice oversight and monitoring is limited, since it will have a small staff, with 55 approved positions—including support staff—so far. To date the GCF has accredited over 20 national and international agencies, whose proven record of effective climate finance and development quality is problematic. For example, the GCF accredited African Finance Corporation, a private-public multilateral investment institution that only adopted an environmental policy last year and has no track record in implementing it. The GCF has accredited Deutsche Bank as a fund manager and distributor for its projects, despite it being the world's 10th largest financier of coal projects. Photo Credit: gravitat-OFF Via Flickr. In response, twenty-nine non-governmental development and environmental organizations from GCF member countries declared that the accreditation process involved “no substantial assessment of the track record of the institutions concerned,” casting serious doubts on the GCF’s credibility before a single dollar had been disbursed. The whole concept of climate finance is based on what is known as additionality: scarce new public international financial resources should not be wasted on investments that do not result in additional real reductions in greenhouse gas (GHG) emissions (or additional climate resilience in the case of adaptation) from a Business as Usual scenario, or that would be built anyway without additional funds, or that, in the name of fighting climate change, would actually increase overall GHG emissions. Even apparently plausible methodologies can be easily gamed. This was the experience with the UN Kyoto Protocol Clean Development Mechanism, whereby many hydroelectric, wind and solar projects that were already being built or planned in countries like China and India, were nevertheless approved for subsidization through Clean Development Mechanism (CDM) carbon credits. Worse, under political pressure from major developing nations, the CDM also subsidized new coal fired power plants, under the rationale that the new plants would be more efficient, and emit less CO2, than a less expensive dirtier plant. The CDM contracted private companies to independently verify the ‘environmental integrity’ (additionality) and authenticity of its projects, but at one point the CDM was forced to suspend several of the companies responsible for two thirds of the verifications for fraudulent practices—and then after several months reinstated the same companies. Lago Agrio, or "bitter lake" in Ecuador showcases the potential disasterous aftermath of what can happen when international corporations and entities use the land for fossil fuel production, and then cut corners during clean up. Not only is fossil fuel bad for climate, but it also carries devastating implications for humans and wildlife in the areas surrounding operations who often do not have the money or the power to take action against fossil fuel giants. Photo Credit: Julien Gomba Via Flickr. A similar scenario is repeating itself in the GCF. Last year at a GCF Board meeting, China, Saudi Arabia and Japan all opposed a proposal that GCF funds not finance fossil fuel projects, including new coal plants. India was reported to at first object to any GCF climate investment criteria at all, arguing that the recipient countries should receive the money and decide themselves the criteria. Japan’s Foreign Ministry argued that “promotion of high efficiency coal-fired power plants is one of the realistic, pragmatic and effective approaches to cope with the issue of climate change.” Japan has included over $1.6 billion in new coal power plant finance in Indonesia, India and Bangladesh in reporting to the UNFCCC its contributions to climate finance. At the latest GCF Board meeting just last month (March 2016), over 170 NGOs from around the world protested the GCF’s accrediting two other scandal-plagued multinational banks, HSBC and Credit Agricole, which were both involved in massive lending of more than $15 billion in recent years for new coal plants. HSBC currently has to regularly report to the U.S. government as part of a settlement of recent criminal prosecution for systematic money laundering on the behalf of Latin American drug cartels, the Russian Mafia, North Korea, Al Qaeda, Hezbollah, and other terrorist organizations. This February, the families of American citizen employees of the State Department and Homeland Security murdered by Mexican narco-cartels brought an unprecedented lawsuit in U.S. Federal court against HSBC for “continuous and systematic material support” of these international criminal organizations. Representatives of the GCF Board claim that they hope to catalyze climate friendly changes in the lending behavior of the two giant banks. These fundamental flaws are a reflection of the hypocrisy and bad faith of quite a few GCF member countries, both donor and developing. Official rhetoric notwithstanding, both donor and recipient governments are complicit in creating the appearance that the GCF is finally beginning to function, rather than ensuring its real effectiveness in reducing GHG emissions or exercising rigorous due diligence in preventing fraud. Bruce Rich is lawyer who has worked for three decades with national environmental organizations. He is an expert on public international finance and the environment. He is the author of Mortgaging the Earth and To Uphold the World, as well as articles in publications including The Financial Times, The Ecologist, and Environmental Forum, the policy journal of the Environmental Law Institute. This post from Bruce Rich originally appeared on The Environmental Forum and is reposted with his written permission. Bruce Rich is the author of Mortgaging the Earth, and Foreclosing the Future. International efforts to conserve biodiversity in developing coun­tries are recognizing the need to provide alternative livelihoods. Simply establishing protected areas will fail without redirecting the economic pressures pushing local people to degrade biodiversity-rich habitats. Bilateral and multilateral aid to con­serve biodiversity totals between $8 to $12 billion annually, and much of this goes to projects that claim to alleviate the poverty of local popula­tions while protecting biodiversity. An article last year by four UK re­searchers in Animal Conservation con­cludes that despite long-standing strate­gies that purport to achieve biodiversity protection and poverty alleviation, ac­tual empirical evidence is often lacking about the success of such projects. The authors link this lack to vague and poor­ly defined conceptions of both poverty and biodiversity in project design, cou­pled with a chronic lack of monitoring of results. After decades of purportedly “pro-poor conservation,” the authors conclude, such efforts today still risk being based on unsubstantiated beliefs, leading to repeating the same mistakes and not understanding the reasons for success (or failure) when it occurs. These problems in turn are directly a consequence of misplaced priorities in the aid agencies. Aid projects typically have a relatively short time frame of five to eight years at most, whereas efforts to alleviate poverty and protect biodiver­sity are long-term processes. Pressures to move money out the door and move on to the next project are great; for new proposals, optimistic goals can be touted, while there are strong bureau­cratic incentives against overly critical evaluations of ongoing or past failures. What monitoring does occur is often not independent, being conducted by the funding agencies themselves or by contractors that are economically de­pendent on them for future business. Already in the 1980s, aid donors and conservation organizations alike enthu­siastically promoted “integrated conser­vation and development projects” that tried to combine environmental goals with development efforts. ICDPs ap­peared to be a new, hopeful approach that would gain the support of the rural poor. Unfortunately, the Animal Con­servation article only reiterated more fully what has been reported for more than a decade. Twelve years earlier, a review of 134 ICDP projects funded by various bilateral and multilateral aid agencies, including the Global Environment Facility, showed that most were failures. The study noted that the rush by aid agen­cies to move projects in a relatively short time span did not allow staff to devel­op an adequate understanding of local communities. 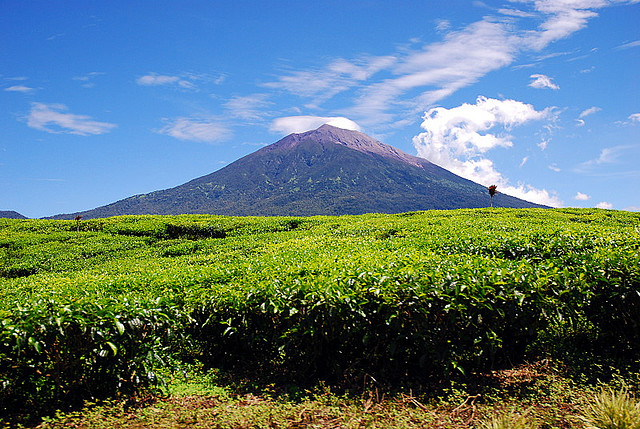 An illuminating case was an ambi­tious effort funded by the GEF and the World Bank to protect the Kerinci Seblat National Park in Sumatra. The park is home to the Sumatran tiger, rhinoceros, and 142 other mammal species. Unfortunately, the project was based on mistaken premises. It empha­sized economic development of local villages, assuming that poverty and lack of alternative livelihoods were driving deforestation. In fact, the villages were some of the wealthiest communities in Sumatra. They saw the ICDP’s devel­opment grants as supplements rather than alternatives to high-earning crops such as cinnamon. Moreover, much of the logging and forest clearing for cash crops was in­stigated by rich individuals who often lived far from the park. The area suf­fered from a chronic breakdown of law and order, and the responsible govern­ment ministries, all the while receiving economic support from the project and other aid donors, had no interest in controlling illegal logging and poach­ing. Under these conditions, unen­forceable conservation agreements with local villages proved almost useless. In some cases, the whole model of alternative livelihood projects may be a product of wishful thinking, attempt­ing to reconcile what are erroneously defined as local development needs and local habitat conservation, while hav­ing no impact on much more powerful forces threatening biodiversity coming from the external political economy. 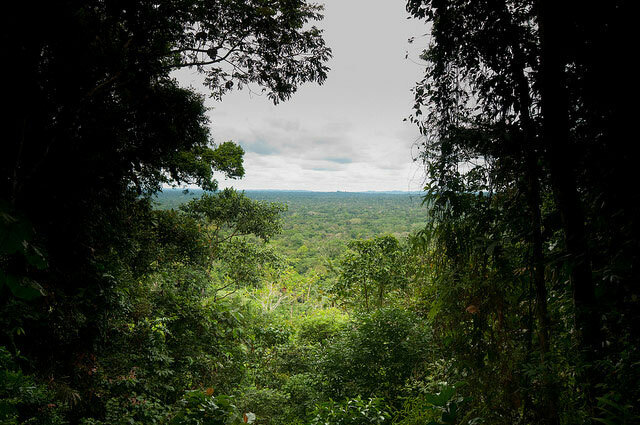 Newer efforts to link habitat protec­tion with climate finance as a means to compensate local communities, such as the UN’s Reduced Emissions from De­forestation and Forest Degradation pro­gram, will repeat past failures unless the les­sons of the failures of alternative-livelihood projects are finally learned. 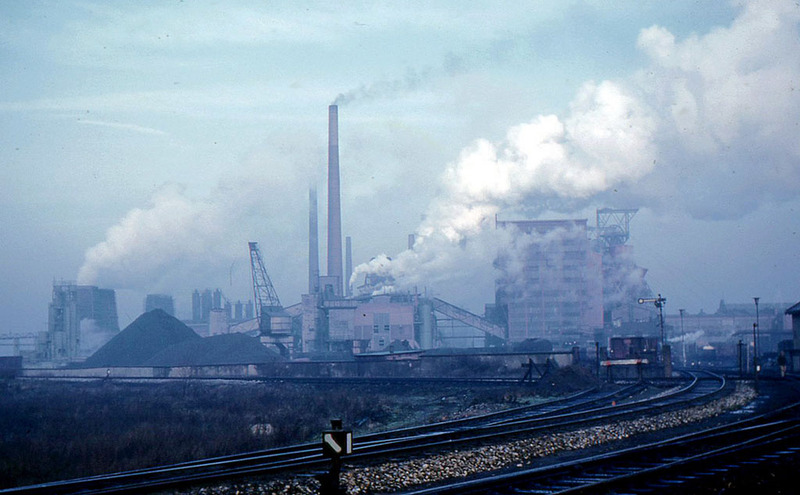 These lessons include the need for a clearer conceptualiza­tion of poverty and how it is linked to pressures to degrade habitats, as well as a better understanding of external market forces like agricultural commodity prices and of political factors such as the influence of regional and national eco­nomic oligarchies. Nearly all future growth in greenhouse gases will come from the world’s emerging economies, and preventing dangerous global warming depends on their reducing emissions growth. Thus it is troubling that Turkey, the world’s 17th largest economy, plans to as much as quadruple coal-fired electric capacity, building as many as 80 new plants by 2030. It could become the world’s third-largest operator of coal plants, after China and India. Turkey’s GHG emissions would increase 134 percent over current levels, to 1.1 billion metric tons of CO2 equivalent annually, over two percent of estimated global emissions in 2030 if the promises at December’s Paris Climate Conference are carried out. Turkey did commit at Paris to reduce GHG emissions 21 percent by 2030 from a business-as-usual scenario. But world GHG emissions would increase only 8 percent, and Turkey’s would still more than double. The Turkish government’s rationale for coal is based on economics and concerns for energy independence. To meet expected growth in electricity demand of 5–6 percent a year, power generation would have to rise 250 percent by 2030. Turkey has huge lignite deposits that could be used for new coal plants. Currently 48 percent of Turkish power is fueled by natural gas, almost all of which has to be imported from Russia and Iran at a cost of around $8 to $10 billion a year, nearly cancelling out positive annual financial flows of foreign direct investment into Turkey of $10.2 billion. Coal currently accounts for 29 percent of power generation, followed by hydro at 16 percent, and wind at 3 percent. To decrease dependency on Russian gas, the government plans to greatly increase coal, expand investment in renewables, and build three hugely expensive nuclear power plants, constructed respectively by Russia, Japan and France, and China. This dash to coal is a missed economic opportunity as well as an environmental disaster. An August International Energy Agency study estimates that solar and wind power will be less expensive than coal and natural gas by 2025; a Citigroup study concluded the same with 2030 as the threshold year. Turkey’s climate is optimal for investments in solar and wind: it has a photovoltaic performance factor 50 percent higher than Germany’s, and a wind power potential alone of 275 gigawatts, about four times current total installed generating capacity. Moreover, international investors are increasingly rejecting financial support for coal. The World Bank, European Investment Bank, and European Bank for Reconstruction and Development have all revised their energy- lending policies to virtually exclude financial support for new coal power plants, and to prioritize investments in low-carbon renewable generating. Turkey borrows from all three institutions. At the request of WWF Turkey, Bloomberg New Energy Finance compared the government’s plans with an alternative Renewables Development Pathway for 2030. In the renewables scenario, no new coal plants beyond those already financed or under construction go online, and the resulting gap in new energy generation is met by more wind, solar, and some hydro. Wind and solar would account by 2030 for over 37 percent of installed generating capacity, and coal plants for only 12.1 percent. Total overall costs for the two scenarios would be about the same, and both reduce dependency on imported gas. But in the renewables scenario, Turkey’s GHG power-related emissions stabilize, rather than more than double. There are significant long-term economic advantages in the renewables scenario, not even counting the environmental and public health costs of massive coal development. Most new coal plants would require anthracite hard coal rather than lignite, and Turkey has to import anthracite; this dependency could cost some $4 billion annually if the new plants are built. 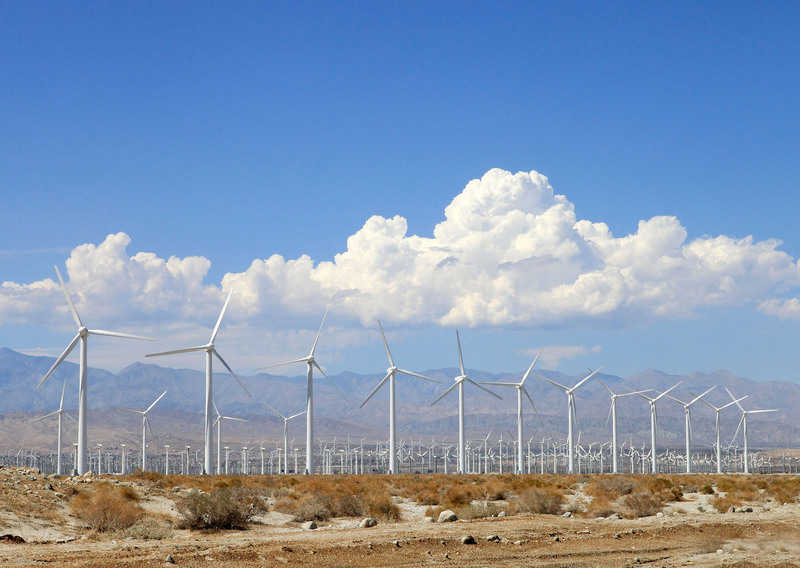 For wind and solar, once built the fuel is free. The Bloomberg analysis notes that the renewables approach “would be likely” to attract foreign investment in renewables industries, creating new employment and eventually even an export capacity. It cites a recent Turkish government policy establishing higher feed-in electric tariffs for locally manufactured renewable equipment, resulting already in German investment to make wind turbine towers and rotor blades in Turkey. One of the most striking arguments against the proposed Turkish coal rush is a comparison with South Africa’s power investment plans to 2030. Like Turkey, South Africa is a fast-growing economy, and has a climate especially favorable to solar and wind power. It has urgent challenges of poverty alleviation, and its power sector is currently addicted to domestically produced coal. But South Africa plans to reduce its power dependence on coal from 84 to 30 percent, and increase wind and solar generation to a third of total capacity.